Recycling Works: Are Magazines Recyclable? 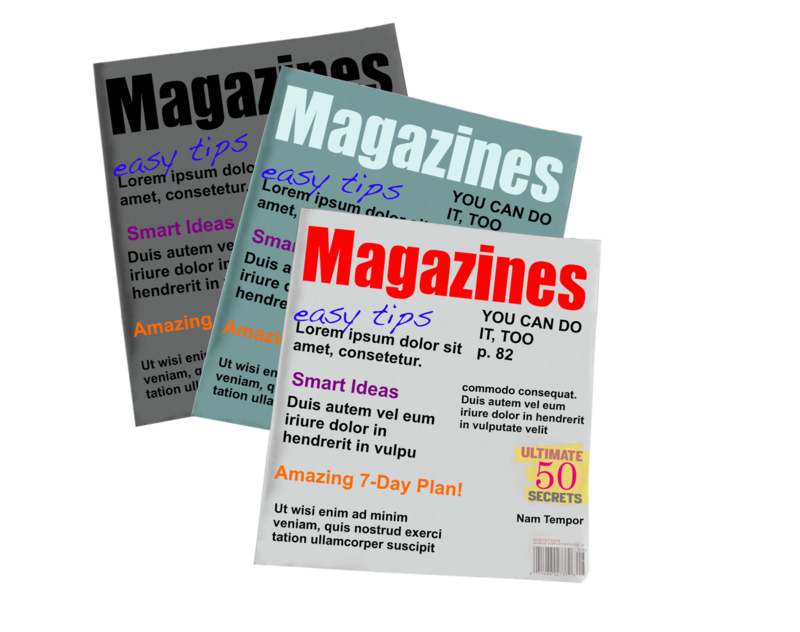 What generally makes a magazine a magazine is the shiny and slightly thicker paper it is printed on. Is this type of paper recyclable? Absolutely. Grade takes in to consideration a paper’s composition and certain characteristics such as the brightness, bulk, and overall feel of paper. A number 5 paper grade, for example, has the lowest brightness with less white and less of a uniform texture. A number 3-grade paper has a mid-range brightness, and a number 1 grade paper has the highest brightness level. Most magazines run on a number 3 or number 5 grade stock. Other grades of paper include freesheet, groundwood, uncoated offset, supercalendared, standard coated fine, coated mechanical, woodfree, and coated offset which are described by having a matte, dull, or glossy finish. Magazines, however, tend to have free samples throughout their pages, such as perfume and make-up. Considering the paper recycling process entails mixing the paper with water and churning it up to make slurry, these samples would hinder the process by the addition of oils and materials that do not mix well with water. Regardless of the weight or grade of paper on which your magazine was printed, most recycling centers accept it. Once you remove the samples from a magazine, you may place it right into your regular residential recycling or recycling drop-off center.